We all could do with a free day out. Here are some ideas for free days out with a toddler. 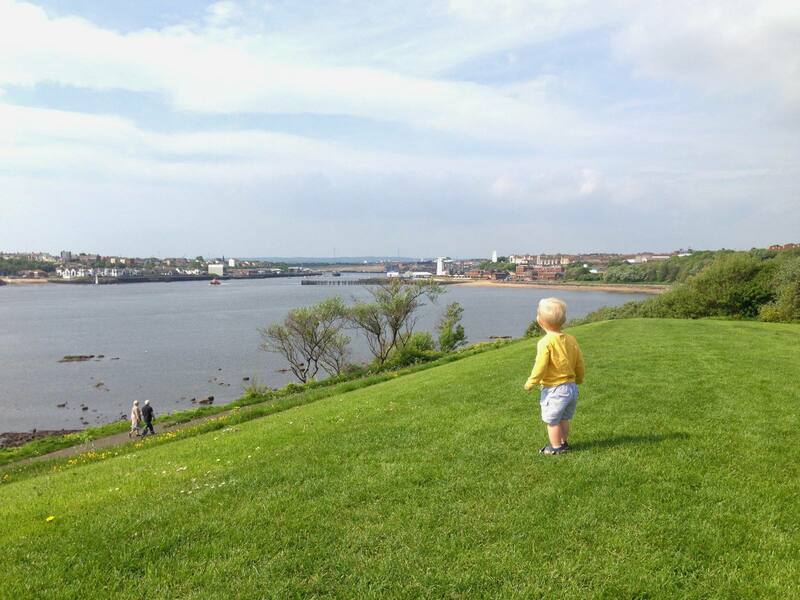 You should be able to do these days out ideas wherever you are with a toddler! 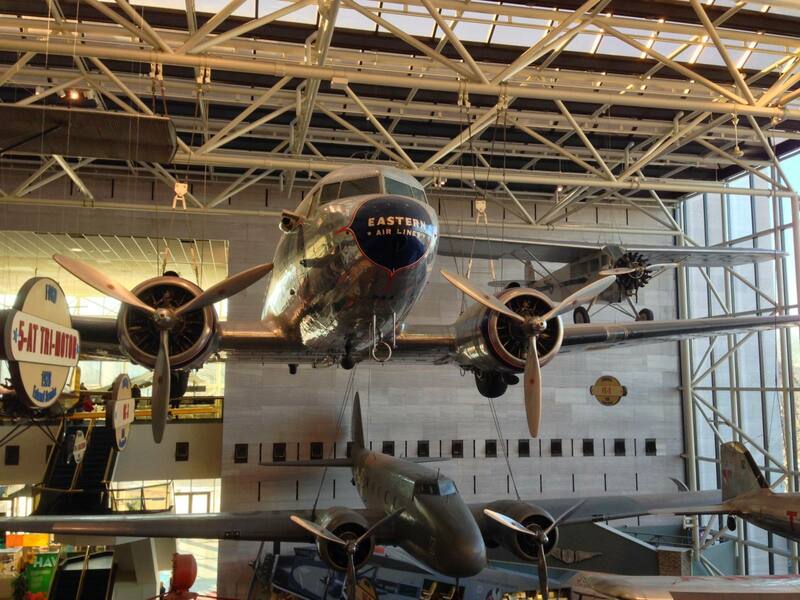 There are hundreds of free museums all over the country. Have a look at this list to see if there are any near you. Most museums have something to make it child-friendly; maybe an activity booklet or a sensory bag. There are always brilliant things to look at, and lots of places have artefacts you can interact with and touch. A really easy way to spend a day with a toddler for free is to go for a walk. Take a picnic if you want to, and maybe a scuttlebug or scooter, or take nothing but your feet. This is a fun way to explore where you live, for free. We sometimes take a nature trail checklist to find things along our walk. We are lucky to live near the fabulous beaches of the north east, so we quite often go to the beach for a free day out. We sometimes take the fishing net and a bucket so we can look in the rock pools. 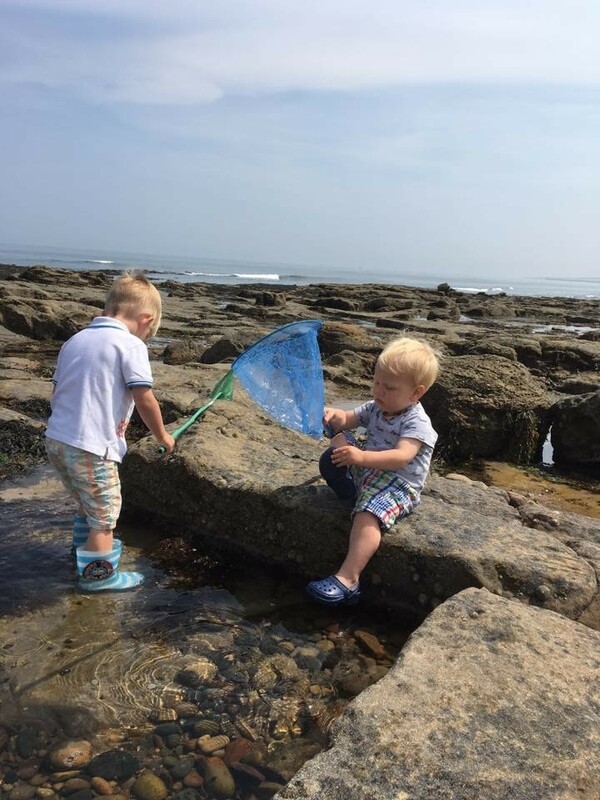 Rock pooling is a fascinating and fun free day out for for all the family. Toddlers will love peeking in the water and catching crabs or fish. Be sure to let the creatures go after you’ve had a look and a chat about them! 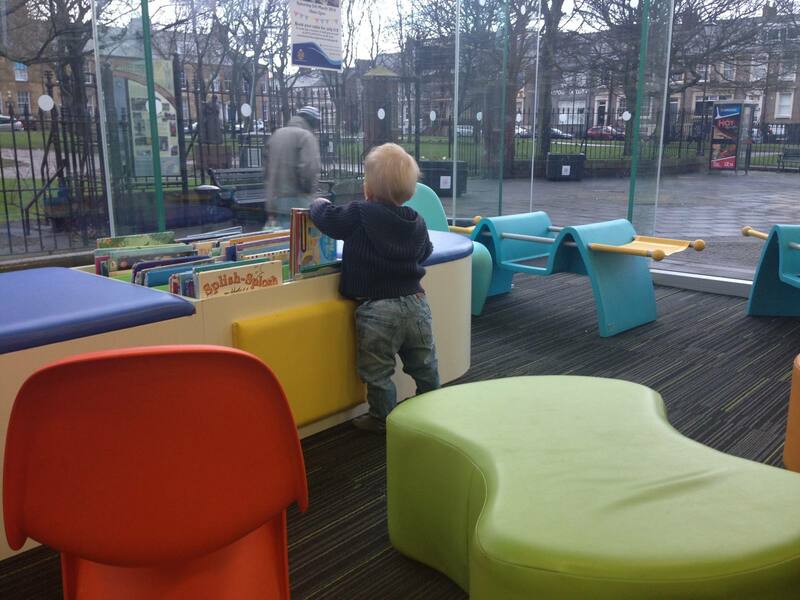 Libraries are great places to visit with your toddler. Not only are there lots of books but there are often free activities to take part in too. Our local library often does Sign a Story, which is an inclusive session exploring a story through props, songs, and Makaton. There are also regular craft activities for toddlers and preschoolers, and of course story time sessions. Check with your local library to see what you could do for free with your toddler at the library. You can’t beat a run around in the playground. 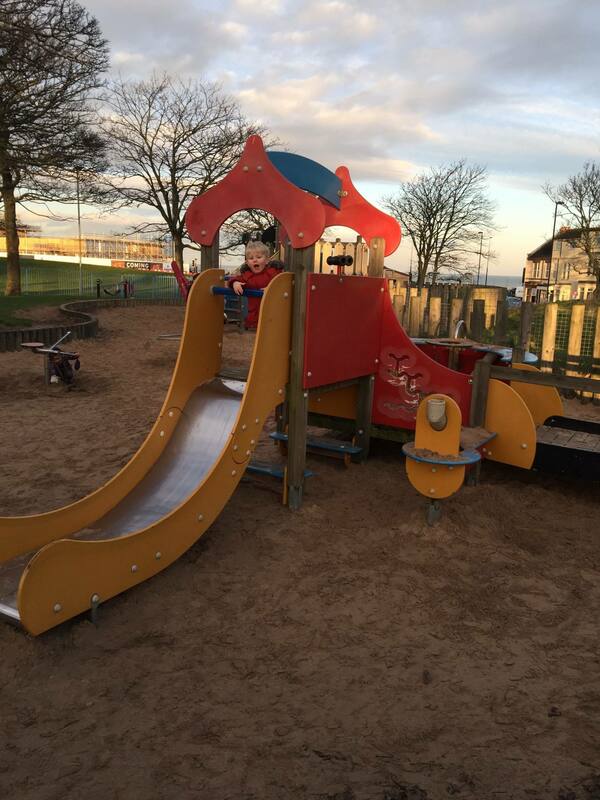 Wherever you are, there will always be a play park nearby. Toddlers love playgrounds! Plus, a bit of outside air, and a bit of physical activity equals more of a chance of a good night’s sleep. What could be better than a free day out at the park? 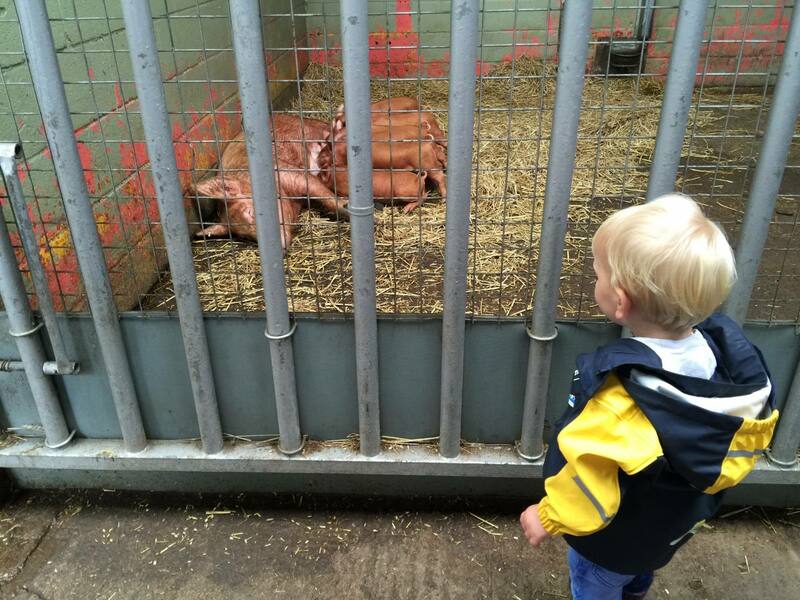 Near to us we have Ouseburn Farm, and Bill Quay Farm; both free (though donations welcome) and ideal for toddlers. They are a bit smaller than out of town farms, which makes them perfect for little legs to trot around. Toddlers will love to see the animals, of course, and also often be able to feed them too. Garden centres are really good places for free days out with a toddler. There are usually fish to look at in their aquatics centres, and sometimes there are also small animals for sale. 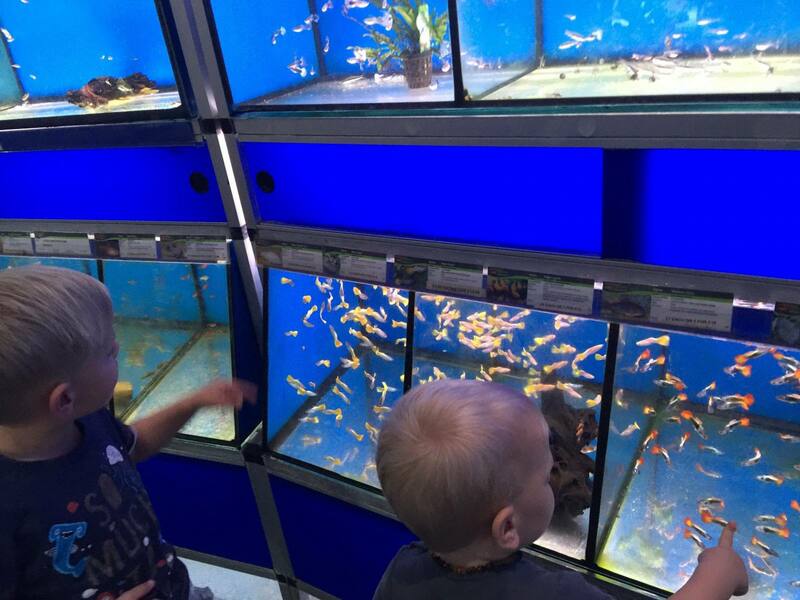 Cheaper than a trip to the aquarium and, for a toddler, just as good. Our local garden centre also has a soft play, so not strictly free, but very cheap – cheaper than many soft play centres! There are often lots of lovely things to look at the shop of a garden centre. We especially like a look around at Christmas time when some garden centres have a Santa Grotto, and definitely lots of decorations! Toddlers can explore art galleries too! So many galleries have areas or challenges for toddlers and preschoolers, and many galleries are free. 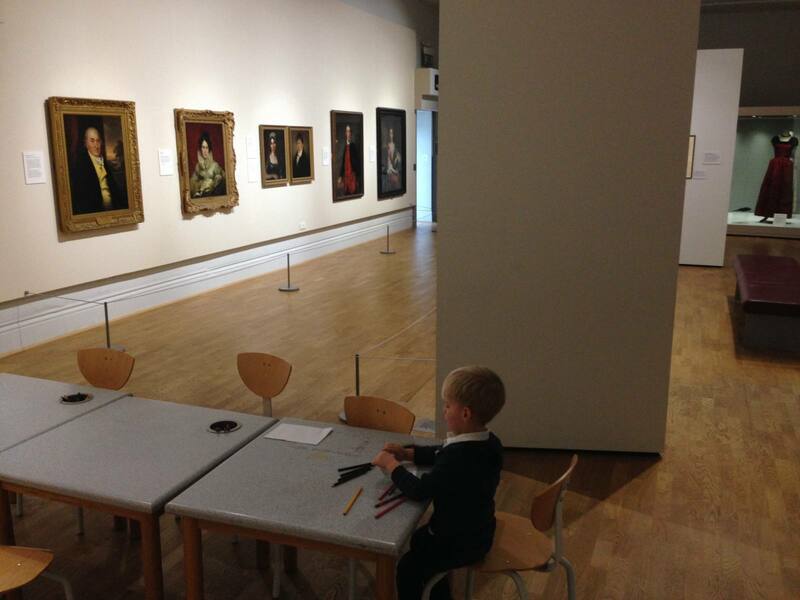 We love the Laing Art Gallery in Newcastle upon Tyne, who have an under-5s area, and also the Baltic in Gateshead who put on free activities for children on weekends and during school holidays in their craft area. They also have Exhibit Explorer packs for your child to take around the gallery to learn and notice more while they’re with you. 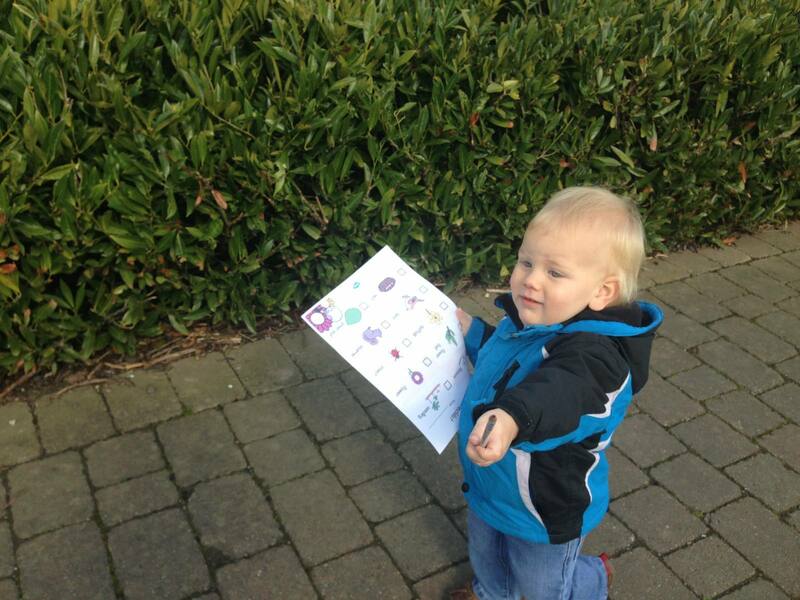 Do you have any more ideas for free days out with toddlers? Did I miss any off? Do let me know in the comments below or on my Facebook page! Thanks! We take advantage of all of these when we can. Always a bonus when something is free!